The Schwartz family has recently been faced with the greatest challenge of their lives. Stacy & Raymond’s oldest son, Raymond, was diagnosed with a very rare form of brain cancer known as Glioblastoma. Raymond was a freshman at Cranford High School and had just celebrated his 15th birthday. Raymond will remain a role model to his younger brother, Jack, and to so many other young people currently battling illness. 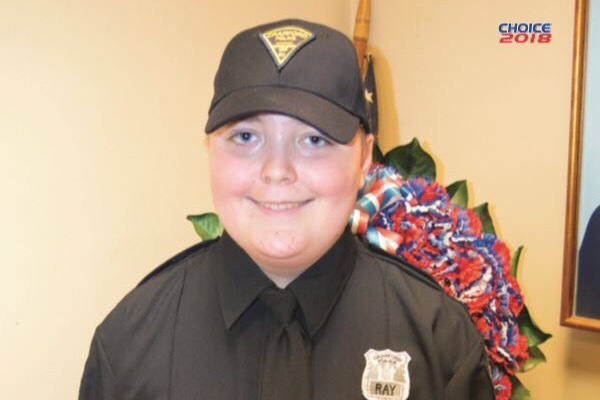 For his bravery and resilience, Raymond was even inducted as an honorary member of the Cranford Police Department. Unfortunately, it was determined by Raymond’s doctors that treatments have been ineffective. On February 12, 2019, Raymond lost his battle and passed away peacefully in Morristown. In Stacy's words, "This morning, God received another angel." Raymond and his family are supported by their community, who have rallied together to help through car washes, fundraisers, and meal deliveries. However, the Schwartz family is still in need of assistance to cope with this unimaginable situation. Stacy, Raymond’s mom, has recently taken a leave of absence from her job as a dedicated paraprofessional at Jefferson School in Westfield, placing a huge financial burden on their family. Please consider a donation to the Schwartz family. Your generosity is greatly appreciated!